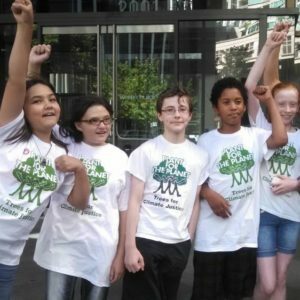 Come to a meet-up to support the twenty-one youth who are suing the US government for failing to protect their future from climate change. Their strong voices and the hopefulness of the YouthvGov case are an inspiration to youth and adults alike as they work to secure the right to science-based action to ensure a stable climate and healthy atmosphere for all present and future generations. In this meetup, staff from Our Children’s Trust will provide an overview and update on the case. We’ll introduce ourselves and talk about how we can build on a Bay Area YouthvGov support network for local climate activists, teachers, and youth advocates. We’ll share ways of utilizing the YouthvGov case as a learning opportunity to engage and empower local youth. We’ll also brainstorm ways of supporting the twenty-one youth and Our Children’s Trust as the case proceeds to trial. There will be time for announcements and we will share upcoming learning opportunities and actions. Refreshments will be provided.